We’ve recently finished an intense few weeks in Glasgow, running the Coordination Centre for the transport system as the city hosted the prestigious European Championships. This major sporting event is a new fixture in the global sports calendar and was a successful joint venture in Berlin, running from August 2nd to the 12th. 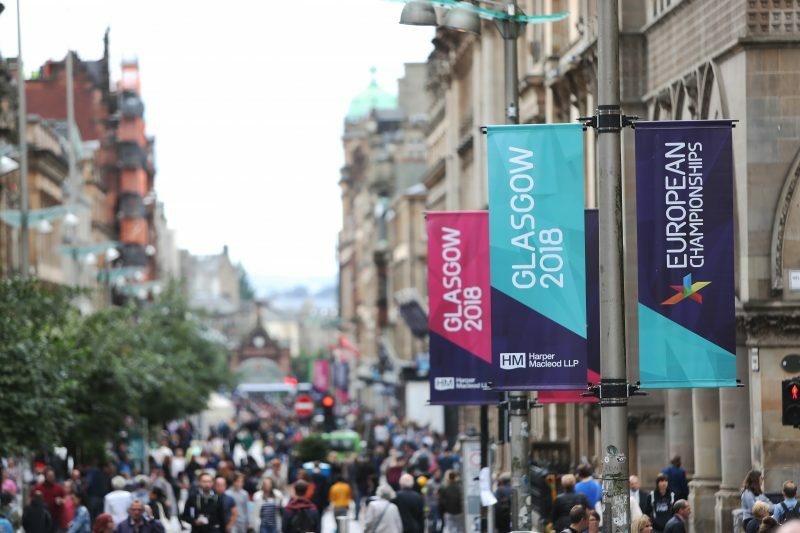 The Championships attracted a TV audience of over 1 billion and of course thousands of athletes, officials and spectators to Glasgow itself, on top of all the usual residents, commuters and business travellers. The goal is simple to state, not so simple to achieve, namely for everyone to get where they want to, safely and on time, whatever everyone else is doing and whatever other pressures there may be on the transport system. Ensuring a positive travelling experience means having effective transport demand management in place, backed up by highly sophisticated integration and communication between dozens of different organisations. In essence, it’s about making sure all the people who run the transport system are talking to each other and also talking to the people who want to travel, in real time. Starting in Marchand working with Graham Jones of Transport for Cities, blacc was brought in by Glasgow City Council to identify the gaps and risks, pull together the plans and oversee the system during the Championships. A particular challenge, successfully achieved, was to reduce road traffic by 30% on the day the cycling time trials were taking place across the city. This was a weekday to boot, but we did it. At blacc, our view is that the key to success is a twin-track approach. First, providing strategic governance for the whole system by bringing together representatives from every mode of transport and every operator, including proper coordination with the emergency services. Second, having strong tactical organisation on the ground, informed by the real-time intelligence and oversight provided by a single governance unit with eyes and ears on the whole system. Only this twin-track approach gives the complex, shape-shifting organism that is a mass transit network the central nervous system it needs to function effectively and to respond to unplanned events like a signal failure or major road accident. This is a booming area of business for blacc, and not just because the number and scale of international events is growing all the time. On the domestic front, fragmented and crowded transport systems demand more sophisticated co-ordination and demand management, day by day, to optimise networks and keep people and goods moving. The same transport techniques that underpin a successful Olympics or World Cup can also help manage more mundane challenges. Our model, for instance, was used to help tackle the recent closure for maintenance of the Mersey tunnels and the rail strikes in the North of England and, on a happier note, the visit of the ‘Three Queens’ (Cunard’s flagship cruise ships) to Liverpool in 2015. If you’d like to know more about what blacc can offer, we’d like to hear from you.